New in Original Mfg. Box. 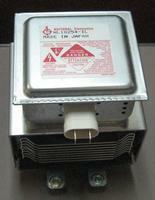 This 2722-162-10311 isolator assembly combines a water-cooled 3-way circulator with a water-cooled dummy load. Intended for 2.45 GHz operation at power levels up to 6500 Watts. This 2722-162-10471 isolator assembly combines a water-cooled 3-way circulator with a water-cooled dummy load. Intended for 2.45 GHz operation at power levels up to 3000 Watts. From National Electronics documentation: "...can be used to develop an impedance in the waveguide that is the reciprocal of the impedance of the applicator. The sum of the two impedances is then seen by the power source as a matched load." Choose from new or used YJ1191-A depending on your budget. 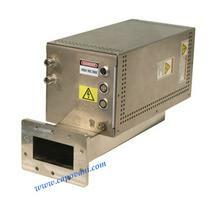 Professionally tested on Cober 6kW microwave power supply. Recent lead-times for YJ-1600 magnetron tubes have been long. We are willing to consider the sale of one or more used (or possibly new) tubes to customers who are seeking a replacement. Warranty can be considered depending on application/use details. 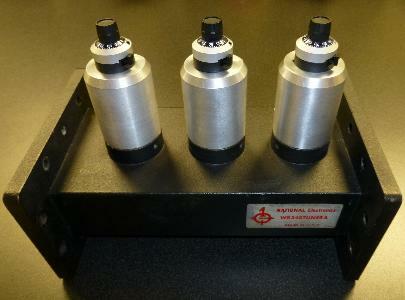 Tubes will be tested prior to sale unless shipment is urgent.